I might have mentioned it before, but when we booked our USA road trip last October, we were well and truly still living in Wales. Fast forward eight months and we had moved to Portugal. This meant a hasty booking of flights back to the UK in order to meet up with our Portland flight. It did mean, however, we got to have a family day in London. We left Faro on the Thursday before our USA trip at 8pm and landed 2 hours and 20 minutes later into Heathrow. We could have flown to another airport much cheaper, but it would have meant an airport change on our return trip from the States two weeks later and I really didn’t fancy that with a three-year-old in tow. So, we flew with British Airways and had a relatively easy flight back to the UK. We cleared customs and had our bags within half an hour and were soon getting a taxi across the road to the Park Inn by Radisson next to Terminal 3. This was to be our home for the next two nights. Although we were in late, we were all tucked up in bed by midnight, ready for a fun family day in London. We were up and dressed by 8.30am on the Friday and as we hadn’t added breakfast to our hotel booking, we got an Uber into Southbank to visit Le Pain Quotidien on Southbank. I had had brunch there with my sisters during my weekend away with them in June and BattleDad was up for trying it out. We had an amazing breakfast, with BattleKid enjoying scrambled eggs and bacon, while I had a smoked chorizo frittata and BattleDad munching down baked eggs with scrambled egg. Suitably fuelled we walked through the Jubilee Gardens towards the London Eye. There was a brief stop for someone little to chase the birds! 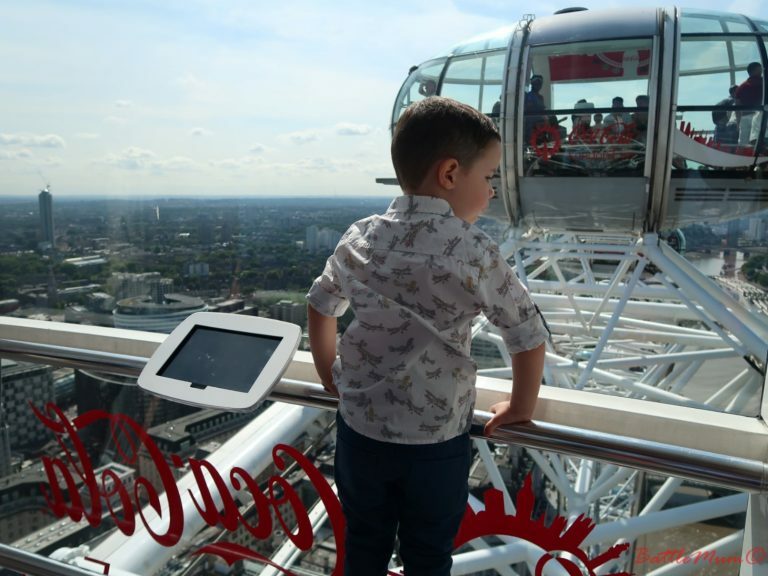 I had booked Fast Track Anytime tickets for the London Eye so once BattleKid had chased all the birds away, we joined the short queue and on we went into one of the pods. While those tickets are expensive, they are worth it to arrive any time you like and skips the long queues which are always at the Eye! 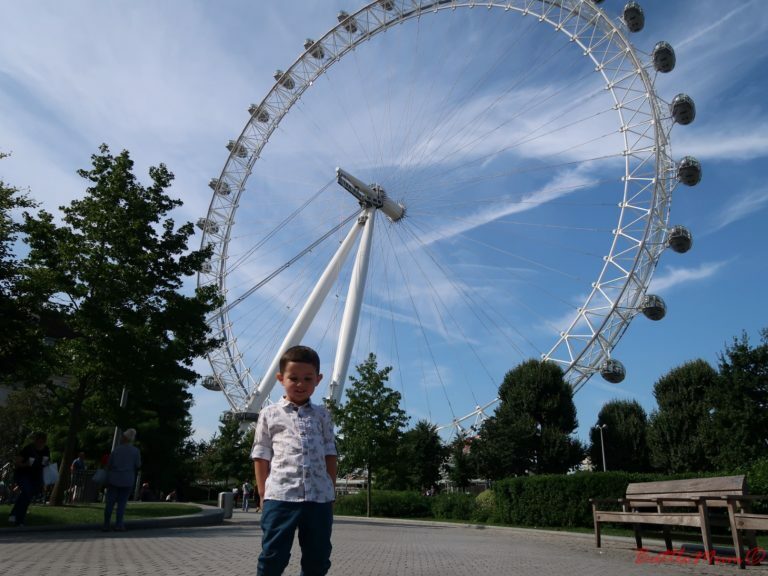 I had visited the London Eye during that aforementioned weekend but this was both BattleDad and BattleKid’s first time, so I knew I wanted us to do it on our family day in London. Both enjoyed it, although a certain someone enjoyed the information tablets within the pods more than the views. From the London Eye, we walked the very short distance to SeaLife, the next stop on our family day in London. 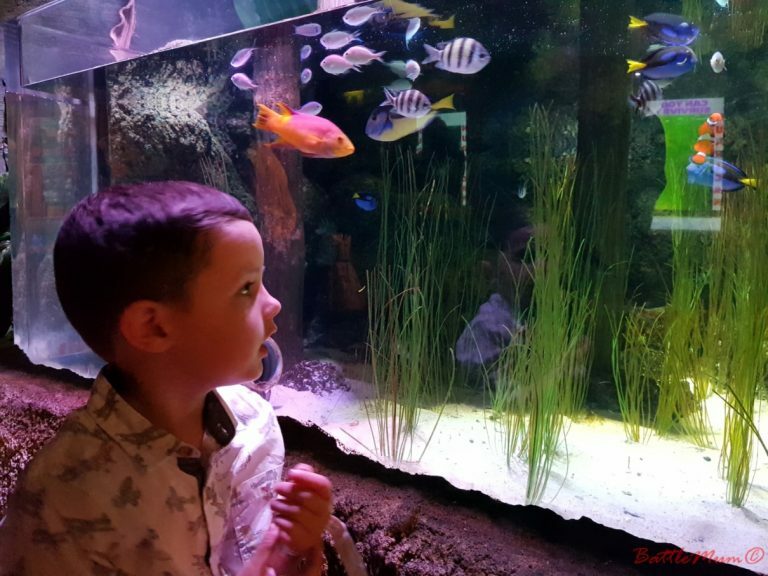 I had seen a few blog posts about it and with BattleKid having enjoyed the Blue Planet Aquarium in Chester and the smaller aquariums in Chester and Bristol Zoo, we knew he should enjoy SeaLife. Again, I bought Fast Track Anytime tickets so we breezed through, only going to the cashier desk to pick up BattleKid’s Ranger Pack. Well, I have to say I was very impressed by SeaLife. I had wondered what an aquarium on the bank of the River Thames would be like but it was really good. BattleKid loved it, running from tank to tank searching for Nemo and Dory, as you do when you are 3. I especially loved the Easter Islands heads in the large tank. 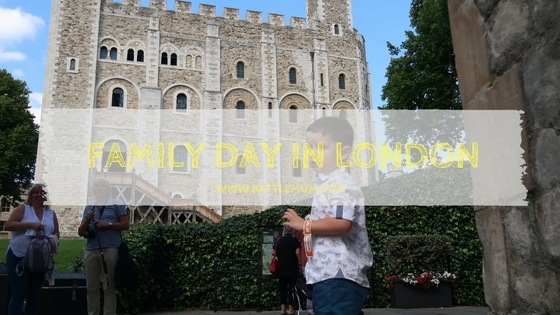 After a brief stop on Southbank to watch some street performers, we crossed the Golden Jubilee Bridges to get a tube from Embankment to the Tower of London, the last attraction on our family day in London. Why were we headed there? To do a spot of dragon hunting of course! And this tube trip was BattleKid’s first ever ride on a London Underground. He wasn’t too sure of the noise they made coming into stations but once he was on he was fine. Watching him enjoying the short trip reminded me of our rides on the New York Subway last year. 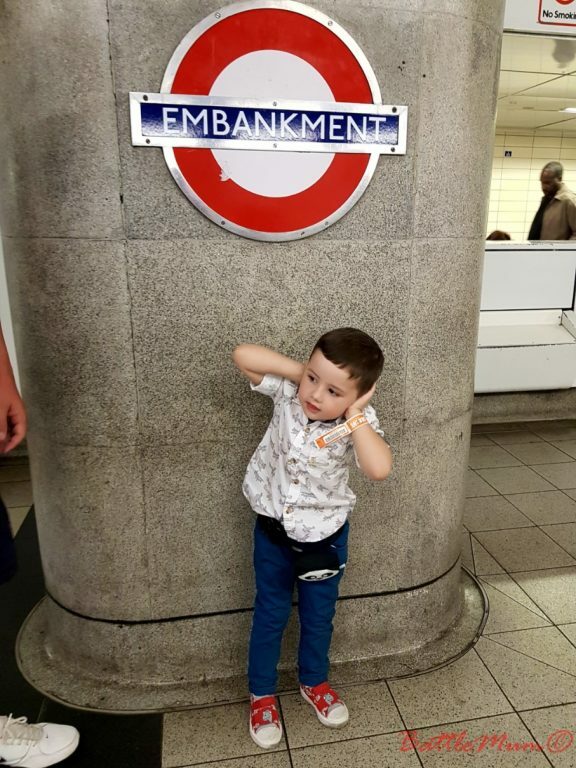 Closing his ears as a train approaches for his first ride on a London Underground tube! I had prebooked tickets for the Tower of London to save some time and after a short bag search we entered the ‘castle’ to start our dragon hunt. After the excitement of the morning, we were getting peckish so we had a cuppa with cake at the Raven Café before resuming our dragon hunt. We eventually found him within the White Tower. We left the Tower of London via Tower Bridge and got a tube back to Paddington. Someone fell asleep in BattleDad’s arms along the way, tired from all his adventures during our family day in London. When we arrived at Paddington I stocked up on some last-minute essentials in Boots before buying BattleKid a Paddington Bear in the Station. It had to be done. We got a black cab back to our hotel rather than trying to get the Heathrow Express. The driver introduced us to Gett, the new black cab app that works like Uber and he managed to get us some money off our trip, which was really nice of him. We tipped him well. After over an hour’s sleep, BattleKid woke refreshed and we had dinner in the hotel restaurant at 7pm. We had to leave feedback with the waiter for the kitchen staff as BattleKid’s dinner came out so hot it could have rivalled lava. Thankfully we stopped him trying to eat it while it was too hot. After dinner BattleKid had a bath, which is a treat as we don’t have one in our Portuguese home, only a shower. I was knackered so I fell asleep by 10pm, while the boys were awake for a bit longer. 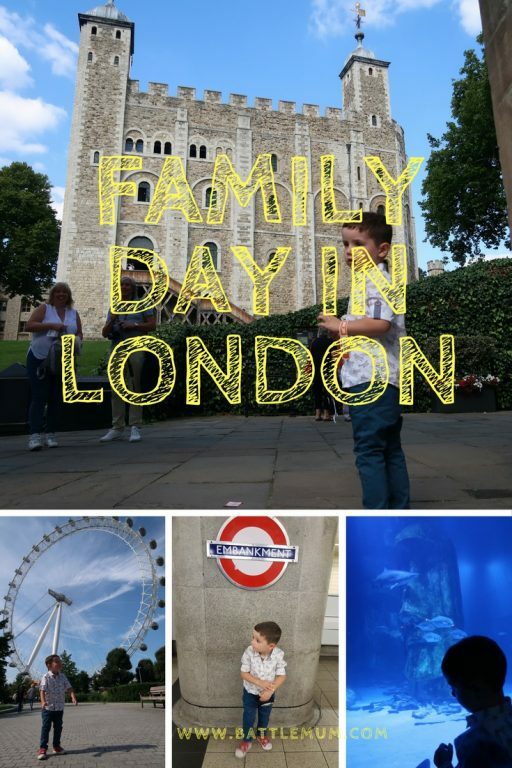 We had an amazing family day in London and it was the perfect way to get us ready for our USA road trip! 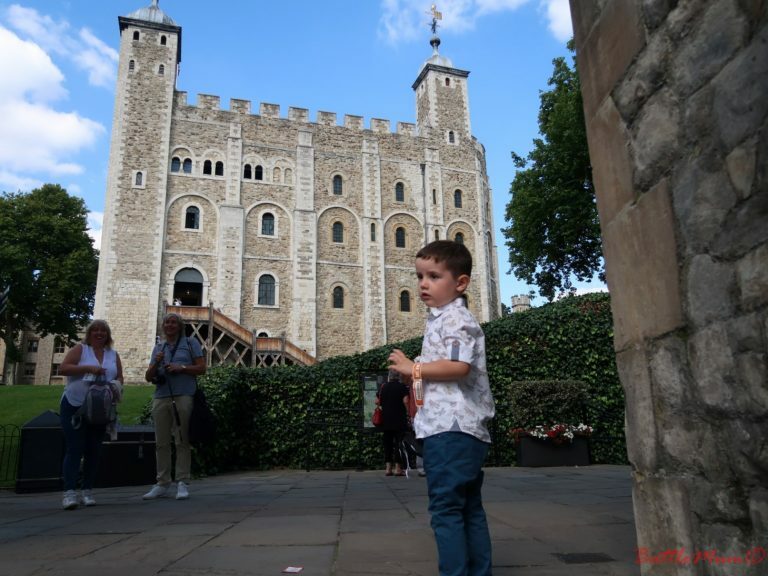 And for some more ideas of what to do in London with kids, check out Go Live Young’s post about the Top 10 Things to do in London with Kids and also Mexico Cassie’s post about Unmissable London Activities for Kids. Fancy a family visit to London. 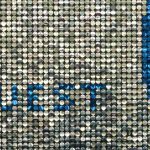 Check out some family-friendly hotels here and research your flights using Skyscanner if travelling from outside the UK to London. 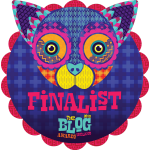 *Please note that the above links are affiliate links. This means that if you make a purchase after clicking through, I will receive a small commission, at no extra cost you. What a great day. I am planning on taking the kids up during half term. I’m sure you’ll have loads of fun! I absolutely love London – I always loved a trip there as a child and then I lived there for years and still loved doing the tourist things. It looks like you packed loads in! I’ve been wondering about taking Max to the aquarium, but we did try the one in Brighton recently and he wasn’t keen. 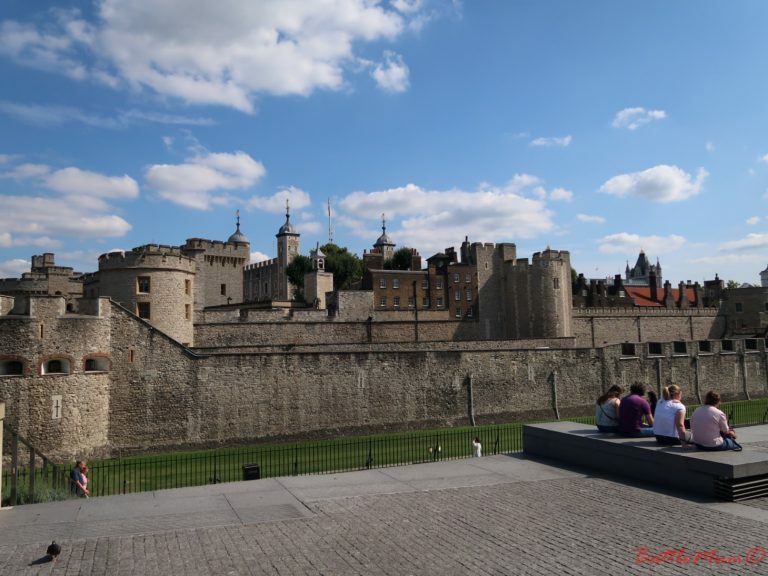 I think he’d love the Tower of London though – he loves a castle! 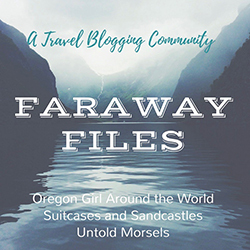 Wow, you jam-packed a ton of things in during your short stay! Sounds like you had the best time! I know what you mean about the bath – despite having three bathrooms here, we don’t have a bath and I really miss it, so especially love hotel stays! 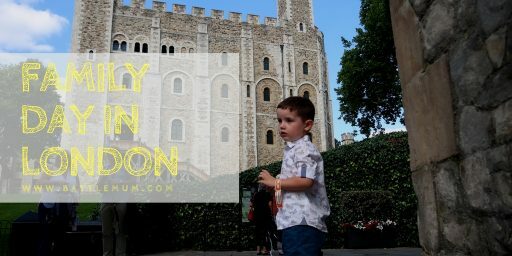 There is so much to do in London with little ones. I haven’t been to the aquarium in years, I’ll have to take a look at taking the little ones. Oh Emma, I’m sure they’d love it. I was very impressed by it! Thank you. We weren’t sure if he’d enjoy the day in London but he did thankfully. Goodness, you packed so much in. I can’t believe how many flights you did either. It looks like you had an amazing time. Thanks so much! Although they are a bit more pricey I will always get fast track tickets for any attraction than I can if going with kids. I don’t really think of taking the boys to London but I don’t know why because there is so much to do. I used to love the Aquarium when I was younger. I’ll have to think about planning a few days in London in the summer, I’m sure the boys would love it. How lovely to make a day of it! 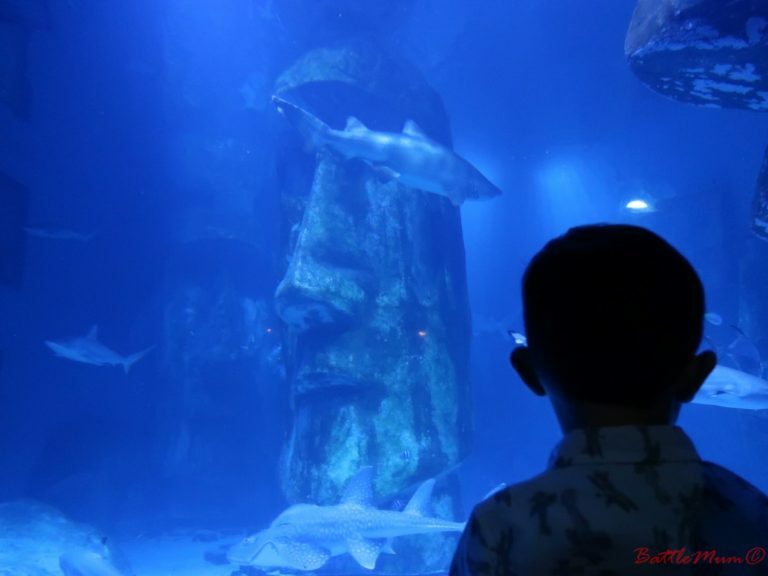 I agree, SeaLife is a brilliant visit – we’ve been so often we know it really well now, but it’s always a thrill. I was so impressed by SeaLife! Oh you should. We’ve been three or four times with and without BattleKid and loved each visit. Wow you manage to pack in so much Cath…how do you do it! I feel ashamed that I do so little in my own home town. Haha thanks Talya. It took a bit of planning but we crammed it in. Had to capitalise on our one day there! London is such a great place to visit with so much to see and do. Sounds like you’ve crammed in quite a bit during your stay. We certainly did. It was worth it though. You fitted so much in! I love the London Eye and have been a few times, I need to plan a trip to take my girls now they are older, they will love it! Wow you packed so much in! What a fun time you all had, lovely photos! I’m glad our son enjoyed it as I was a bit apprehensive. Thanks for hosting Erin. I wasn’t sure if our son would enjoy it being only 3 but he did! Indeed this is such a memorable trip. Great London experience for only thirty six hours. You really make it! Cheers!